The Isle of Wight is a place where the clock seemingly ticks a little slower. It’s easy to see why it’s seduced artists and writers, including Tennyson and Keats, since Victorian times. No one could fail to be impressed by its rolling landscapes, fringed with an undulating coastline. Your Isle of Wight holiday adventure begins the moment you drive on to the Wightlink ferry. The island may be tiny – just 25 miles by 13 – but it’s bursting with things to see and do for all ages. That could include everything from visiting the remains of a Roman villa (01983 406 223; bradingromanvilla.org.uk) to wandering around the Isle of Wight Zoo (01983 403 883; isleofwightzoo.com). 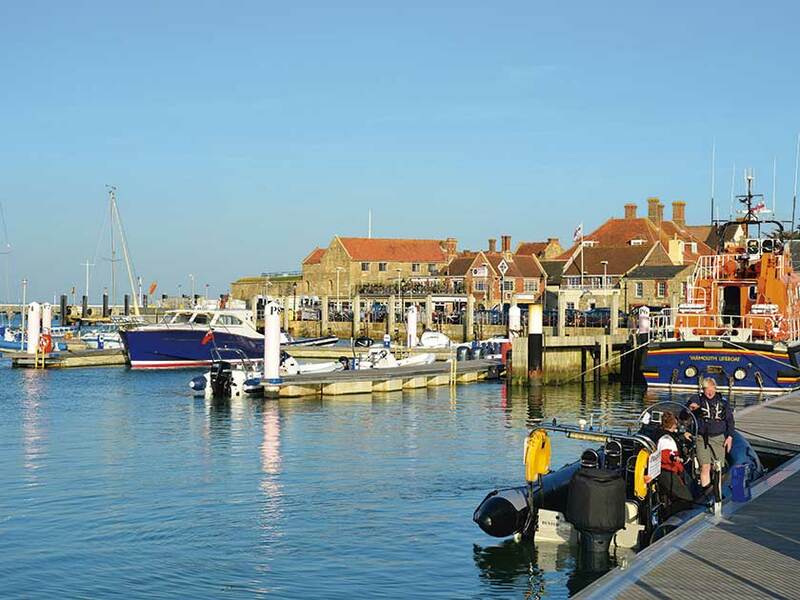 Sitting at the mouth of the River Yar, the historic harbour town of Yarmouth is much more than just a gateway to the island. Its streets are lined with some of the county’s oldest architecture, including a 16th-century castle and Grade II-listed pier. If you’re feeling peckish, try Off The Rails (01983 761 600; offtherailsyarmouth.co.uk), a quirky cafe-restaurant situated in the old train station with its walls adorned with railway memorabilia. 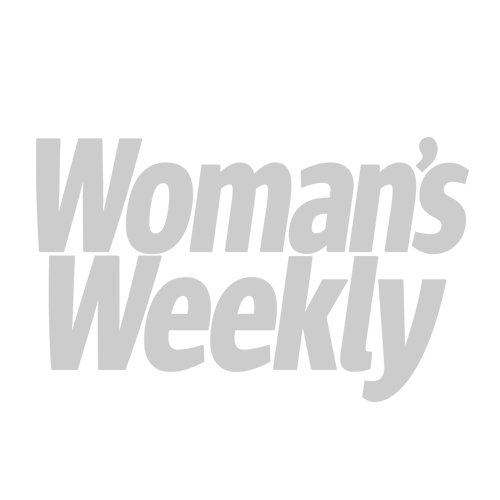 Overlooking marshland, it opened in 2014 and offers an interesting menu and seating inside or on the former platform. 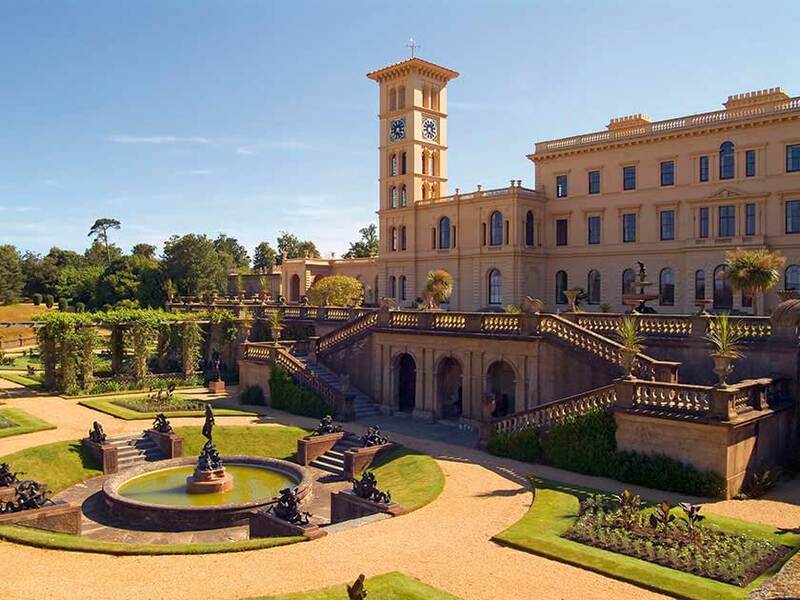 Osborne House, Queen Victoria’s private family home and seaside retreat, is a must for history lovers. After admiring the royal apartments and exotic Indian decor in the Durbar Room, we ventured outside, exploring the extensive grounds before visiting the private beach to examine Queen Victoria’s bathing machine. Thankfully, the isle has resisted becoming too commercialised and has protected its natural landscapes, affording visitors plenty of open countryside to savour. Make sure your itinerary includes a drive along the dramatic A3055 coast road. Running the entire stretch of the southern coastline, it’s one of the most scenic routes in Britain. It’s great for just journeying along, admiring the open seascapes. While passing Chale, Brighstone and Freshwater Bays, the afternoon sun glistens on the English Channel and illuminates the chalk cliffs. Why not take a bracing walk along a section of the 67-mile coast path circling the island, visiting The Needles, a row of three chalk pinnacles rising from the sea on the island’s western extremity. If the wind had picks up and rollers crash against the white stacks of chalk one can see how, in 1764, a storm managed to demolish a fourth, needle-shaped rock. While in the area, visit The Needles Landmark Attraction (0871 720 0022; theneedles.co.uk) at Alum Bay. Admission is free, although charges apply for parking and attractions. For an unforgettable experience, jump on the cable car. The steep drop to the beach below, famous for its coloured sand, is another of those must-do activities. Don’t forget to wander around Ventnor Botanic Garden. Before you leave, access the coast path from the botanical garden and visit Steephill Cove, a magical little place tucked away below the garden with no road access. When it comes to accommodation, you’re spoilt for choice. We picked family-owned Old Mill Holiday Park, overlooking Bembridge Harbour, which offers everything from pine cabins to caravans. This peaceful, well-maintained site is situated on the east of the island; the friendly owners will organise your ferry crossing, too. 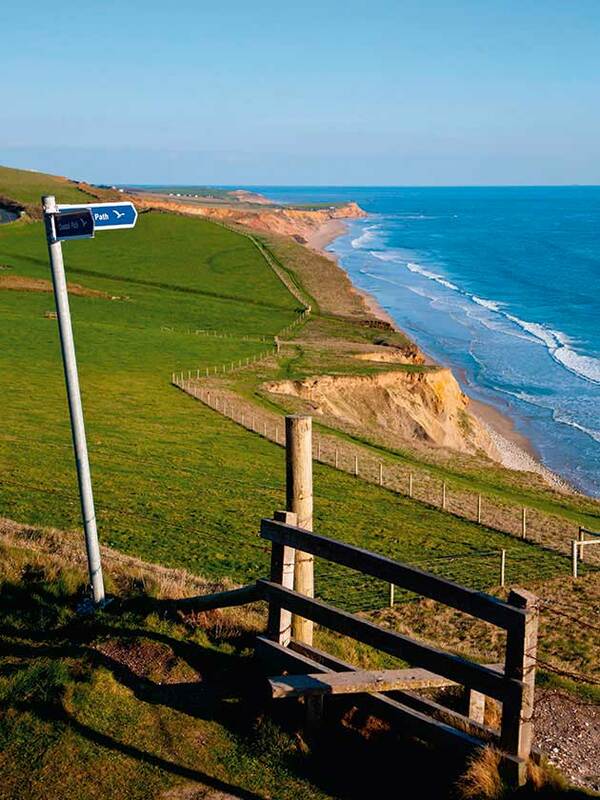 With over 500 miles of well-maintained, signposted footpaths, an Isle of Wight holiday is ideal for those who enjoy donning walking boots, crossing fields, passing through forests and strolling along the coast path. Among the many family attractions is Wight Karting (01983 565 366; wightkarting.co.uk), an all-weather, floodlit go-kart track. Other top attractions include walking an alpaca at West Wight Alpacas (01983 760 900; westwightalpacas.co.uk) or getting up close and personal with an array of dinosaurs at Blackgang Chine, an open-air theme park (01983 730 330; blackgangchine.com). Old Mill Holiday Park (01983 872 507; oldmill.co.uk) offers a seven-night break in a six-berth caravan which includes a return crossing on the car ferry. For more information on Wightlink Ferries, call 0333 999 7333, or visit wightlink.co.uk. For more detailed info on a Isle of Wight holiday, go to visitisleofwight.co.uk. 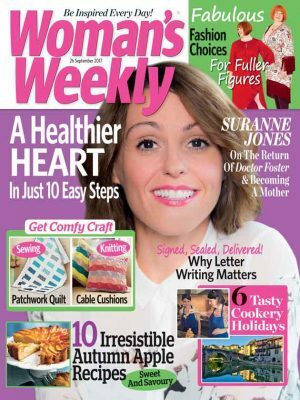 Take a short break with Woman’s Weekly’s Travel Shop.